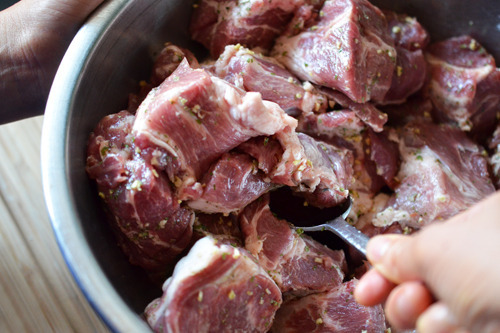 Let’s make Slow Cooker Cheater Pork Stew! The secret to this easy meal is to just dump a bunch of umami-laden ingredients into your slow cooker, including marinara sauce out of a jar. Sandra Lee calls this “semi-homemade” cooking in an attempt to make it sound respectable, but let’s call a spade a spade: This is a cheater’s recipe. But who cares? It’s Whole30-compliant, requires minimal prep time, and explodes with flavor. The only real prep work you’ll have to do is roughly hack up a bunch of vegetables and cube your pork. No Sunny Paris seasoning? 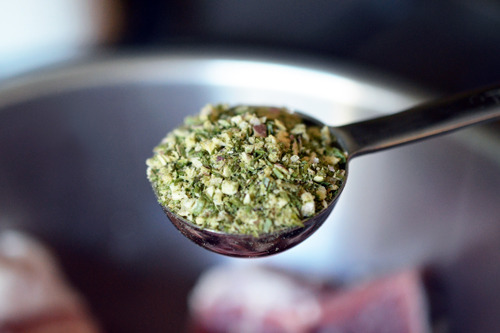 Just substitute your favorite all-purpose seasoning blend! However, I do recommend that you use high quality pork because the factory-farmed stuff is pretty scary. We all get lazy sometimes. Even if you’re bursting with newfound energy from the Whole30, there’s no rule that says you have to use it all up in the kitchen – especially if you’re not particularly fond of cooking. This recipe takes just a few minutes of prep, and then you can go play. 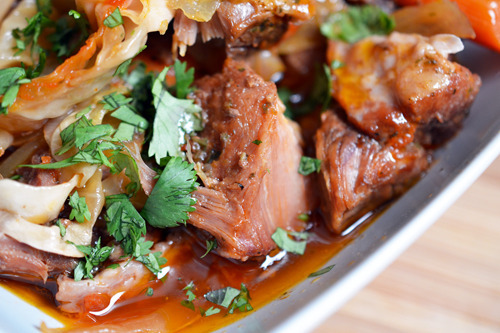 Eight to ten hours later – after you’ve worked up a big appetite – you’ll find a flavorful, meaty stew waiting in the slow cooker for you. I love tinkering with recipes, and am happiest when I’m playing with new flavor combinations in the kitchen. 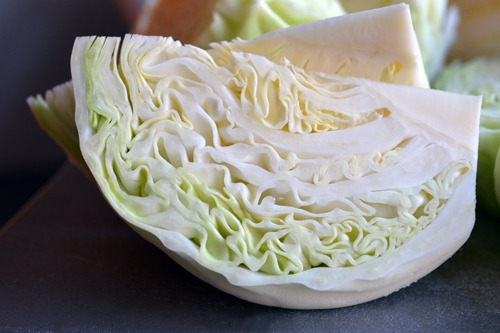 But when I’m busy, stressed, tired, or just not in the mood for cooking, a simple, fool-proof recipe can be a lifesaver. 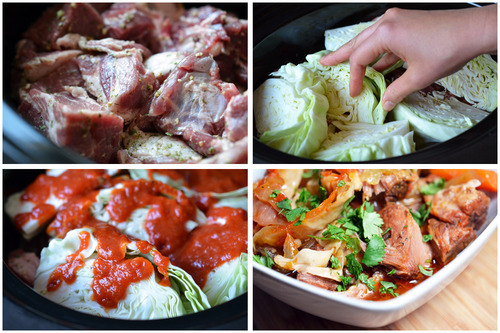 That’s why Slow Cooker Cheater Pork Stew is in my regular dinner rotation. What’s your go-to meal when you’re pressed for time?